It’s actually been quite a while since we’ve done a WRX rally car build from scratch. The last few Imprezas that we’ve had in the workshop have been second hand rally cars. We’ve only had to modify and re-prepare them before taking them onto the stages. That all changed late last year when a customer decided on a fresh WRX rally car build. We went through the options with him and the GC8 or classic shape best fit the bill. The search began for a car and we soon located what we were after. 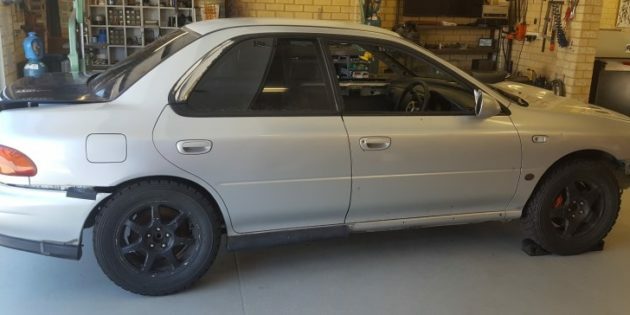 The car had originally started life as a two wheel drive, 1.6L base model Impreza. At some point in the past it had been turned into a track day car and was therefore fitted with WRX running gear. It was being parted out so we sourced the car as pretty much a bare shell. We even had to fit struts and wheels just to get it on the trailer. We saved ourselves a lot of time in the initial stages of this WRX rally car build. Normally a road car needs to be stripped internally before work can commence. Seats, carpets, head lining and sound deadening all need to go. Removal of the tar from the floor is a particularly time consuming job too. With this car the hard work stripping it had already been done. Straight up a full weld in, tower to tower roll cage was fitted. The design gives excellent strength and rigidity to the body shell. 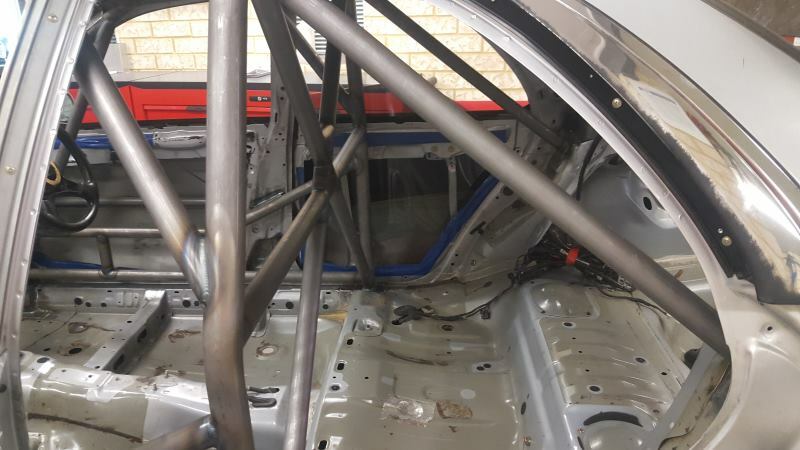 For 2019 CAMS changed the rules for new roll cages. Additional gussets and bars are needed to meet compliance. We welded in all the extra pieces during fabrication. Once the cage was complete additional shell preparation followed. We seam welded in the crucial areas to tie key points together. At the same time we changed the dash mounts and bar to suit a version 4 WRX (1998 onwards). 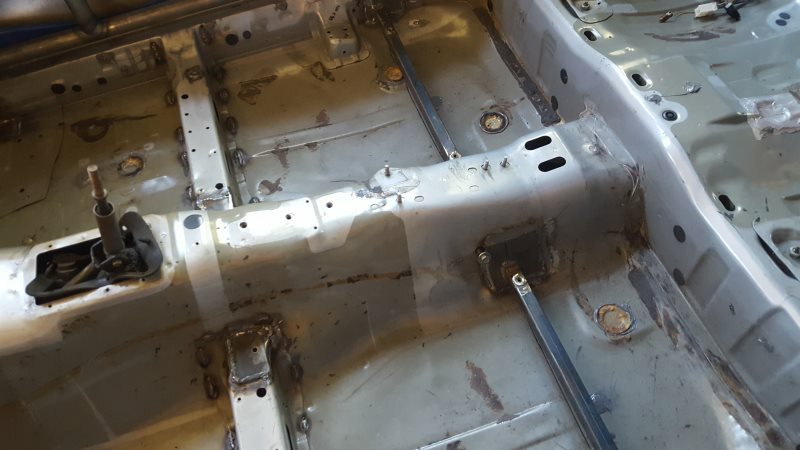 Seat mounting plates and bars were also welded in on both sides of the car. 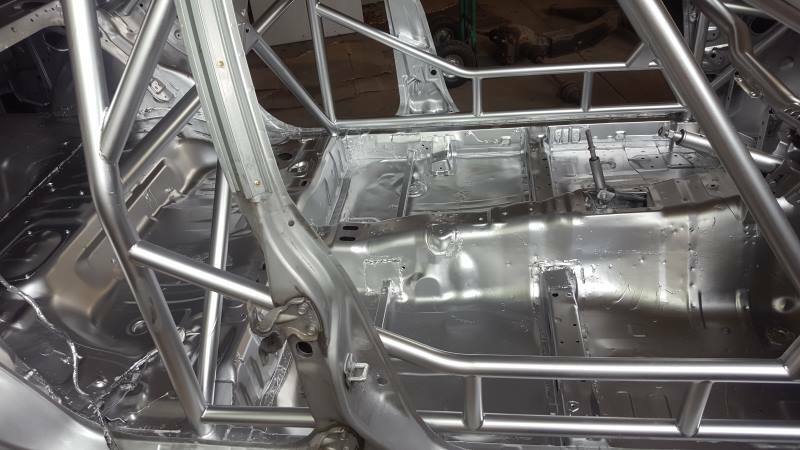 Once we were happy with everything the interior was sprayed our standard aluminium colour. The next step of the WRX rally car build was to tackle the main running gear. We bolted the engine/gearbox and front suspension more or less intact. The rear end followed soon after and then the tail shaft was bolted in connecting everything together. The front brakes were found with plenty of life left, however the rears need replacing. Brake line plumbing will be tackled later in the build. Our attention then turned to the electrics. The car didn’t come with any master cylinders, fuel/brake lines or wiring. As we already had a loom to suit the running gear this was good thing. For someone building a car from scratch it could have been a headache. The front loom was all laid out, plugged in and fixed in place. The rear loom was stripped down to the necessary wires ready for connection to the front. As the WRX rally car build progressed fuel delivery moved up the list. We opened the fuel tank and inspected. It was good to see a nice clean tank. Turbocharged Boxer engines are very sensitive to fuel. A slight drop in pressure under boost can easily melt pistons. We don’t take any chances and therefore replaced the standard fuel pump with a Warlbro motorsport unit. Some people fit larger diameter fuel lines as well as upgraded pumps. It’s not that easy though. Even the Warlbro fuel pumps only have an 8mm outlet. 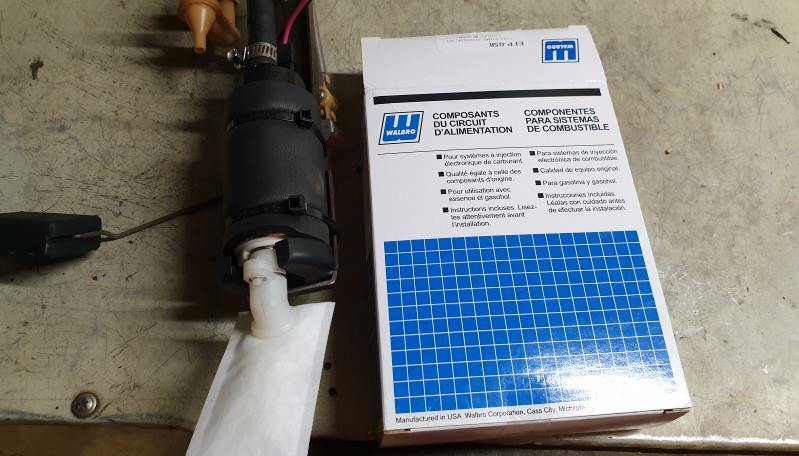 So unless the whole lot is increased from the pump to the injectors, larger fuel hose will do very little. Normally with a good fuel pump the OEM 8mm WRX fuel lines prove perfectly fine for rally. As there is no fuel plumbing in the car, we’ll fit -6 Teflon, stainless braided hoses from tank to engine bay. The braided hoses do require special fittings in lieu of hose clamps.